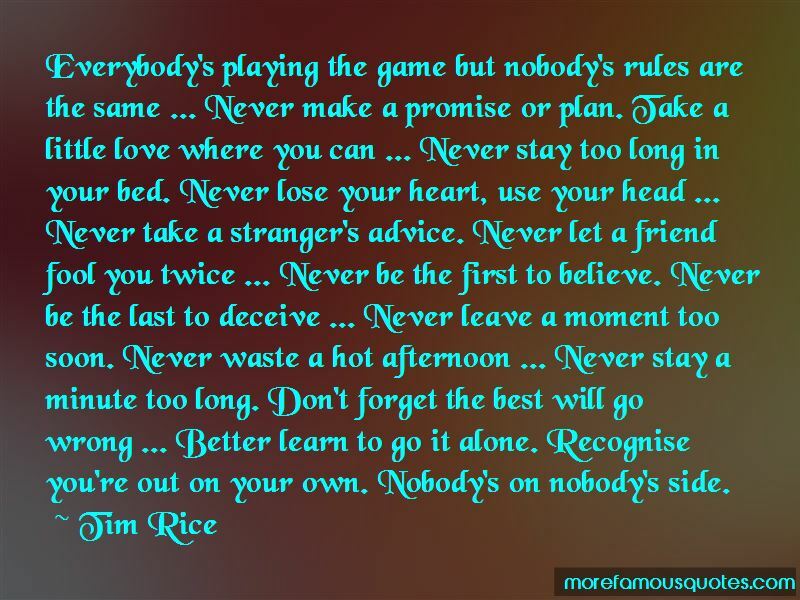 Enjoy the top 30 famous quotes, sayings and quotations by Tim Rice. We all dream a lot - some are lucky, some are not. But if you think it, want it, dream it, then it's real. You are what you feel. I have radios everywhere around the house, very old battered ones that I've had for years and years. None of them are digital. Very few artistic partnerships last more than 10 years, and if they do they tend to go down the tubes. I've been a fool to allow dreams to become great expectations. 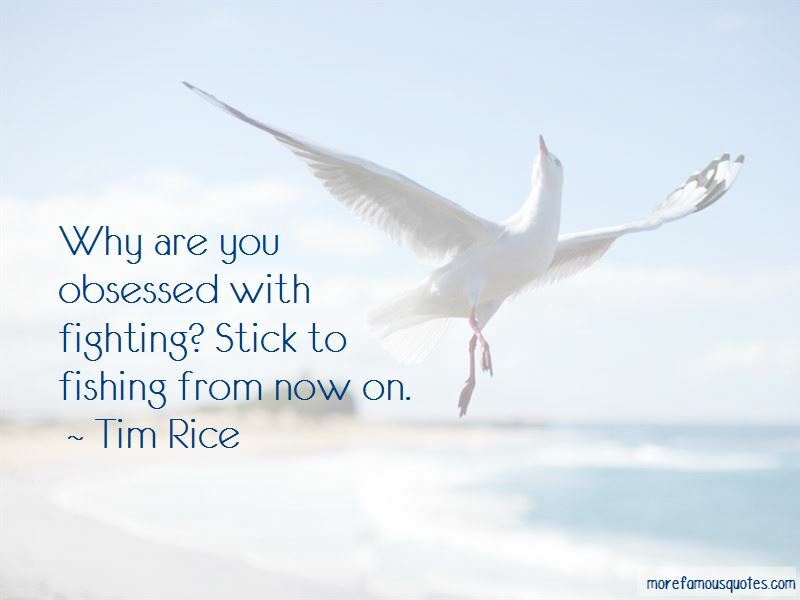 Why are you obsessed with fighting? Stick to fishing from now on. 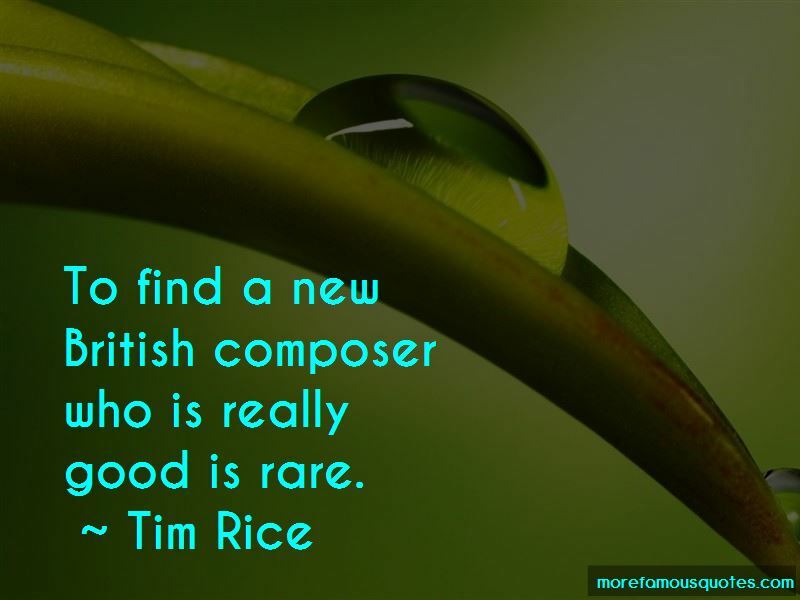 Want to see more pictures of Tim Rice quotes? 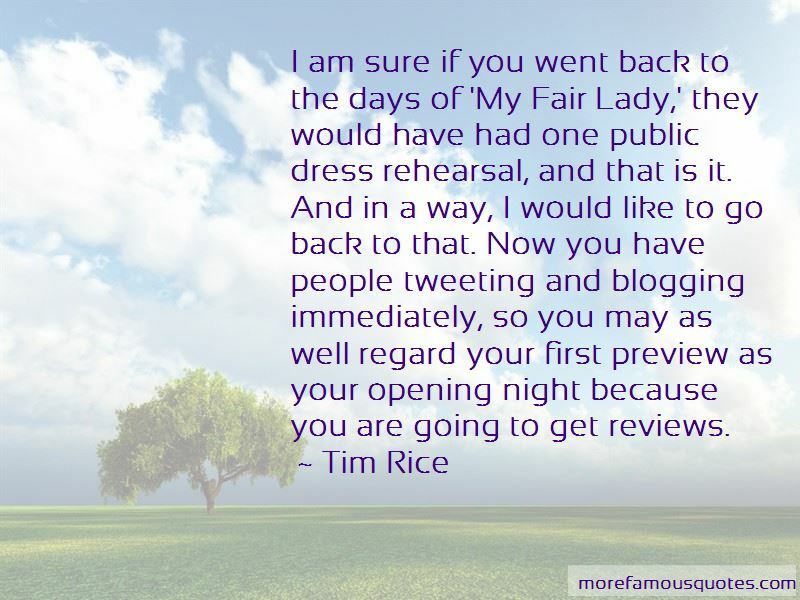 Click on image of Tim Rice quotes to view full size.